Ministry Ideaz: Cheer someone up with a scriptural greeting card! Cheer someone up with a scriptural greeting card! When you wish to send a special card to friends, family, and loved ones or those in need, Ministry Ideaz has the appropriate spiritual greeting cards for every occasion. 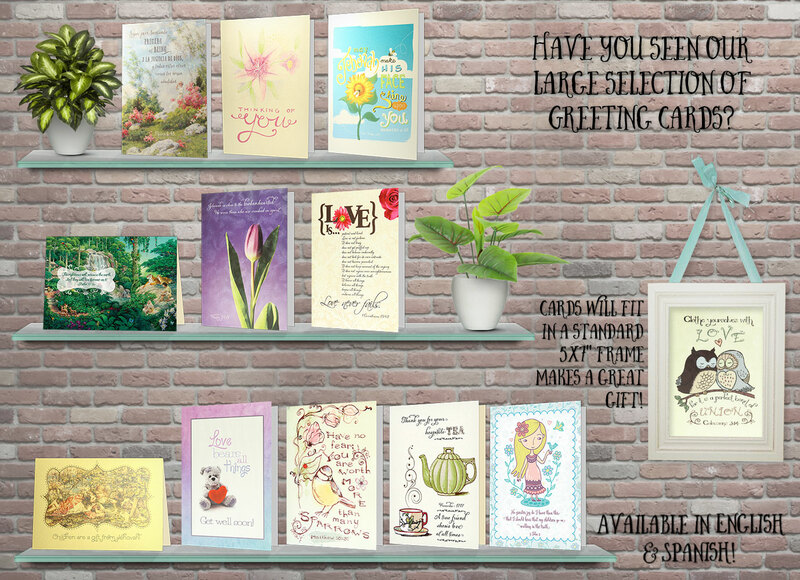 Where else can you find a greeting card store “just for us”! You'll never see a Christmas or Birthday Card. You will find cards for pioneers, new elders or SKE graduates. Brenda Z. says: "I just received my package of greeting cards. They far exceed my expectations. They look beautiful on your website. However, holding them in my hands, feeling them and seeing them up close—they are more than beautiful! Exquisite. I will feel honored to use these cards to help bolster the faith of beloved brothers and sisters." Select from several categories of uplifting greeting cards such as: “Friendship and Thank You,” “Ministry and Meetings,” “Scriptural Counsel,” “Sympathy,” “Spiritual Encouragement,” “Get Well,” “Christian Blessings,” “Goals and Milestones,” “Prayer and Supplication,” “Study and Meditation,” “New Baby,” and “Weddings and Anniversaries”. We even have cards in Spanish! Whether someone you know is reaching a milestone, getting married, planning a birth, suffering a loss, or needs encouragement, we offer greeting cards for Jehovah's Witnesses based on scriptures from the New World Translation and with heartfelt messages. There are a variety of sweet cartoon and animal themed cards for the kids, colorful florals for the ladies, and a number of classic paintings and landscapes for the gentlemen. Our greeting cards are priced at less than half of the cost in retail card shops, and you You will love the designs, colors, and categories of these spiritual greeting cards from Ministry Ideaz. Gift a special message to those you love today!